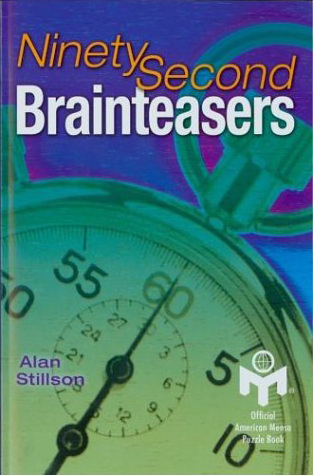 Almost five hundred quick and breezy brain exercises for word puzzle lovers. 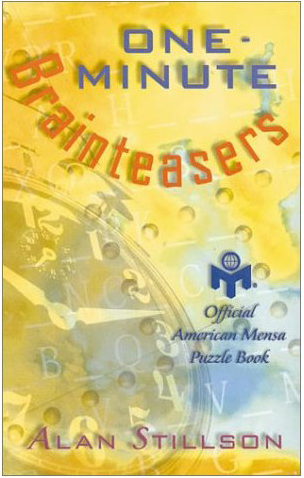 All can be done without a pencil – 96 pages – 8.28 by 5.33 – compare your answers with members of American Mensa, the renowned high-IQ society. 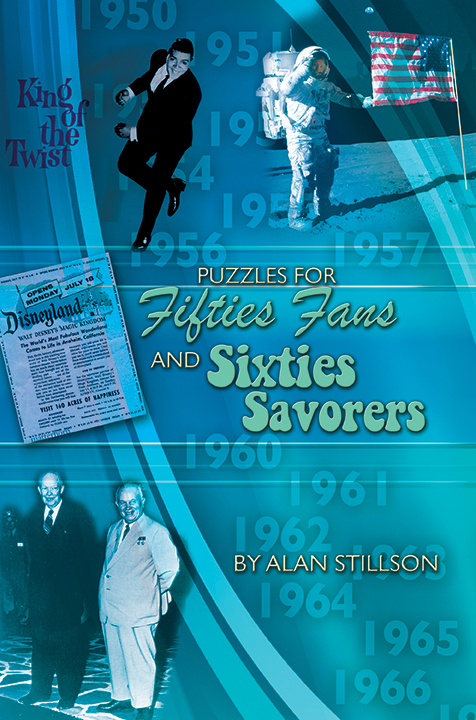 2003 – Sterling Publishing. Each of these puzzles is designed to be solved within a minute-and-a-half. This allows you to control and time your mental workout. From movie titles with first and last letters only to Presidents whose names are hidden within sentences, these mind-bogglers will require some hard thinking, teasing you into constructs or concepts of your own. That’s what makes them so much fun to solve. Q: When can I expect a _____? A: Eight hours after the plane leaves from Prague. The Gilberts moved back East after living in California for twelve years.